Peel's compering debut on TOTP: "In case you're wondering who this funny old bloke is, I'm the one who comes on Radio 1 late at night and plays records made by sulky Belgian art students in basements dying of TB." And of course, his comment about Aretha Franklin's duet with George Michael 'I Knew You Were Waiting':"You know, Aretha Franklin can make any old rubbish sound good, and I think she just has." It's easy to heap scorn on Gary Numan/Tubeway army, due to his sheer ...what?, but he is slowly becoming critically rehabilitated over the advancing years, and this is a stellar track. ...then the two albums only project that was Vince and none other than Alison Moyet. Is this a guilty pleasure? Oh, whatever. I'm not the only one. This was the only entry Tears For Fears had, in those hallowed days of 'new pop.' It is a fantastic tune, and seems to have actually dated quite well, IMHO. This is my 35th post this month, or something BTW. Hope you are enjoying them. Please leave feedback, I don't bite! Another great, unsigned band for you. 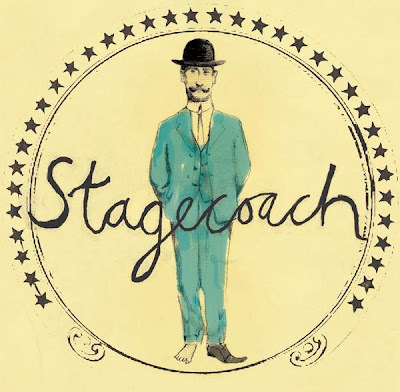 Hailing from deepest, darkest Surrey, Stagecoach produce gorgeous indie-pop with an American west coast inflexion -think Calexico, the Shins and Wilco, but they sing in their own accents. They are unsigned at the moment, but gigging a fair bit in London and producing some gorgeous pop songs. Stagecoach -'Giddy up.' mp3 (according to their MySpace, in February 2007 'Giddy Up' appeared on the soundtrack to the BBC2 drama 'Party Animals'). If you like these, there are more great tracks over at their mySpace. Pop over, make friends and say hello. As you will have noted, I have been doing a lot of Peel-related posts of late. I have also noted other bloggers doing posts on singles that they have found during a rummage in cupboards or wherever, including Song, By Toad and The Vinyl Villain. ...so why not combine the two? 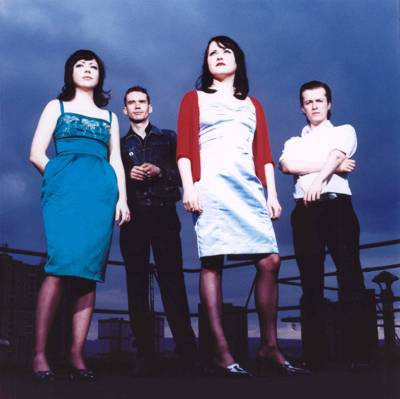 The Sugarcubes are legendary as the biggest band to have come out of Iceland, at least until Sigur Ros, and the fact that their lead singer, Bjork has had a substantial amount of solo success since the band split in 1992. Their debut single 'Birthday' was no.1 in the 1987 Festive Fifty, as well as a minor chart hit, (and no.23 in the Millennium Festive Fifty!) It paved the way for their 1988 debutalbumLife's Too Good. But (as well as a later remix in 1992 at the time of the band's split), there was another version of the song, re-recorded in 1988, which featured Jim and William Reid of the Jesus and Mary Chain. I first saw the Sugarcubes on The Chart Show, a fairly revolutionary TV programme given that it was all videos and absolutely no presenters. 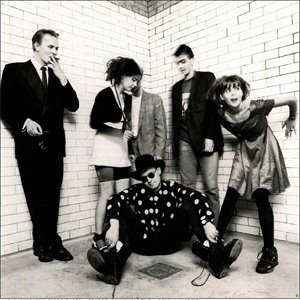 The Sugarcubes were featured on the once every three weeks indie chart on many occasions, and it was here that I saw the video for Birthday. Weird and wonderful. Interestingly, this version of the single was 'Single Of The Fortnight' in Smash Hits, too. It took me thirteen years to find the CD single, when I did it cost me £8 ($16 US) and as far as I'm concerned, it was worth every penny. And finally, as treat, the original version of Birthday in Icelandic. Oh, and if anyone has got an mp3 of The Sugarcubes doing a song called 'Cat' could they let me know? Ta. Looking thorugh the John Peel-related posts on the BBC's website, particularly relating to the Festive Fifties, it's kinda interesting to see what gets thrown up, in terms of the bands you rediscover, never heard, or are surprised to see in there. It's good to see stuff that comes round again...or should. Today's post is actually quite heavy on 1993, a time when I listened to John Peel's show pretty regularly, taping it (no podcasts then!) and trying to stay awake until 2AM on Friday and Saturday nights, something that I didn't manage very often. It's also interesting to note just how much good stuff there was, and looking back, thanks to John Peel, the NME and Melody Maker, the local library and Radio 1 finally moving forward, just how much aware I was of quite a few of these at the time. What was it about his show? Oh heck...his enthusiasm for music, the sheer diversity of the music, the fact that he knew so much about music, you felt he was teaching you just as much as your own teachers were. He was cool to me, not in a silly way, but just managing to have his finger on the pulse of the zeitgeist. Or something. 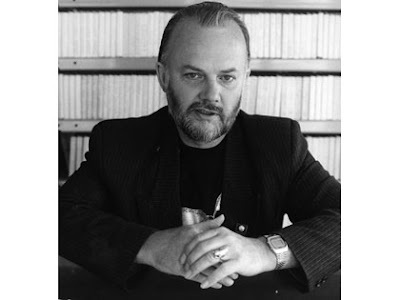 When John Peel died in 2004, my mother and another friend were very quick to ring up and see how I was. It's fair to say no other DJ could make people act this way. I wish I could claim that the first time I ever heard Billy Bragg was on John Peel's show, as a very clued-up, cool ten year old. That would be a lie, however. I actually first heard this on Now That's What I Call Music Volume 8 (also featuring the Pet Shop Boys, Run DMC, Cameo...and Nick Berry). Oh well. Sorry for the lack of posts over the last few days, things have been rather busy. Anyway...how about some more Peel-related posts, eh? This post is jointly dedicated in respect of Robert Burns and John Peel, and features three scots bands, beloved by the late Mr. Peel covering Burns related songs. 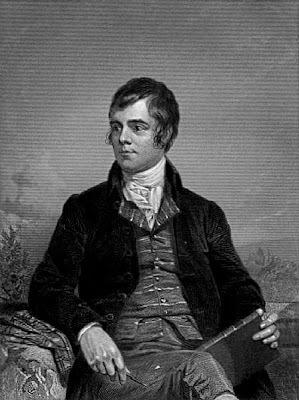 Today is Burns' Night in Scotland, in honour of Robert Burns (1759-1796), scotland's National Bard. No other literary figure - not even Shakespeare- can really be eclebrated as he is. The man was a legend, and his inspiration runs through to this day, inspiring many. Maya Angelou (I Know Why The Cage Bird Sings) discovered Burns when she was eight and said 'He was the first white man I read who seemed to understand that a human being was a human being and that we are more alike than unalike.' At the Burns and a' that Festival in 2003, Patti Smith performed a rendition of 'Afton Water.' Kofi Annan gave the inaugural Robert Burns Memorial lecture in New York, using Burns' 'A Man's a man for a'that' as the touchstone for his remarks. Written in 1795 and covered by Ballboy (see below), this 'anthem of radicalism' was described by his later biographer Auguste Angellier as a 'Marseilliase of Equality' and was chosen to open the new scottish parliament. My all-time favourite scottish band The Delgados covered 'Such a Pacel Of Rogues In A Nation' for a Peel session a few years ago. The Parcel Of Rogues In A Nation refers to the English and England, and is Burns' scathing attack on the Union Of Parliaments in 1707. Some see it as evidence of his nationalist tendendies, but others have suggested that he was just being provocative. Other than that, amongst many others are Eddi Reader, who has released a n entire album of Burns' songs and also, Belle and Sebastian have covered one of his best-known songs 'Auld lang Syne' in swedish (if anyone knows how to get hold of this please let me know). There will be more scots, John Peel related music later. Watch this space. I must learn not to jump to conclusions (copy out 500 times). 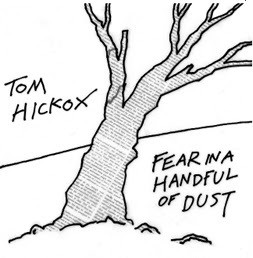 Tom Hickox is a Scottish-born, London -living singer songwriter who takes the notion of singer songwriter further than just one introspective man and his guitar. There’s real strings but what sets him apart from so many others is the electronica. Added to the inspiration which Scott Walker, Nick Cave and Morrissey have clearly provided, and this is something special. Imagine Four Tet, Squarepusher, the Brodsky Quartet and Scott Walker collaborating on the same album…and you perhaps start to get close to this. This album will benefit from repeated listens, and reveal its charms and hidden delights the more you hear it. It was released last year, and I can only regret I didn’t hear it before. Make sure you do so now, especially ‘Grief Hijackers,’ one of the few times I can remember feeling genuinely sorry when a song ended. Tom's website is here and his mySpace is here. Pop along and say hello. Follow the links on these sites if you wish to hear more tracks and buy the album. 1954 hail from San Diego, California. Which is perhaps funny, given that they sound far more British than a lot of British bands. I particularly hear Blur and Bloc Party, and also a hint of the Klaxons. 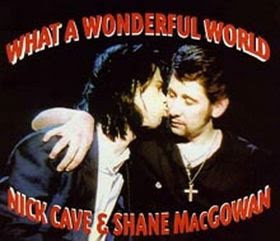 The vocals are a tad weird, but this is not necessarily a bad thing (Celine Dion might be a technically a better singer than Shane MacGowan, but who would you rather listen to? Exactly). They sound like more youngsters having a fantastic time, creating a riot of noise, guaranteed to annoy boring grown-ups. This is, naturally, a very good thing. If you like these, go along to their MySpace, where you can download more tracks and make friends with them. As ever, please let me know what you think, as well as downloading the music. 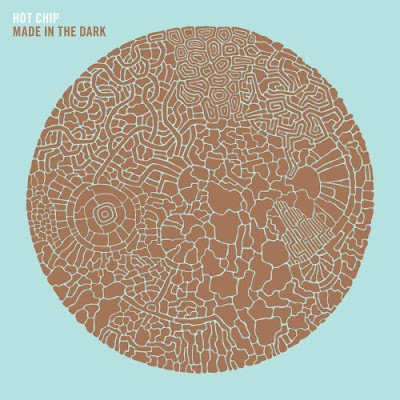 Hot Chip's Made In The Dark is already getting bloggers salivating across the blogosphere. 'Ready For The Floor' is getting airplay, and the album sounds like it should be as big or even bigger than The Warning. This is due out on February 4. Finally, Nick Cave and the Bad Seeds are set to release their fourteenth studio album Dig, Lazarus Dig on March 3. A new Nick Cave album is always worth getting excited about, and as the greatest living Australian, worth hearing and seeing. As always, if you like what you hear, support the artists involved by buying the music, going to gigs etc.. I thought I'd focus on some new music today; so, please let me know what you think. As ever, if you like what you hear, please go and make friends with them over at their MySpace. 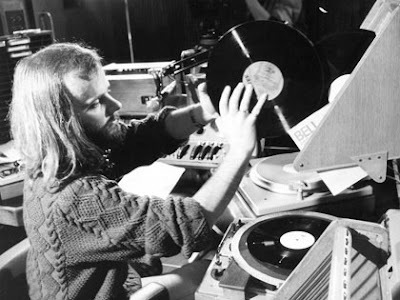 Here are ten songs today from the legendary Festive Fifty compiled by John Peel. As yesterday's entry focused on the eighties, it seemed only fair to do the nineties today. Some of the records were obscure, but other artists went on to do massively well. Much like the eighties, in fact. * OK, I'm aware that there were only thirty-one records in the chart that year due to restrictions on John Peel's time. But you get the point, yes? Don't Sacrifice Your First Born! The reason for the title of this post has almost nothing to do with ms. Dax; rather, that yesterday I received feedback from a reader called AJ saying that he/she couldn't find the track and had looked everywhere for it. So I said would post it, and AJ was so delighted he/she said that they would sacrifice their firstborn...and we couldn't have that, could we?! Her official mySpace page is maintained by her old friend and bandmate, Karl Blake. Hope you enjoy this, and if people can direct us to where Danielle dax's music can be bought more easily, please do! What can I say? It was just such fun (if bloody time consuming) doing yesterday's Peel-related Post here that I thought I'd do something similar again...In the process, I have realised that a great number of these come from 1982, confirming my belief that 1977-1982 was the greatest era ever, for music. Followed by 2001-2008, obviously). The song Shipbuilding was written by Elvis Costello in 1982, about the Falklands War and Robert Wyatt recorded it first, nearly topping the Festive Fifty in 1982. Elvis Costello recorded his own version for Punch The Clock in 1983. Both versions are fantastic, Wyatt's version and piano are gorgeous, though Costello's version is great too, and features Chet Baker on trumpet. 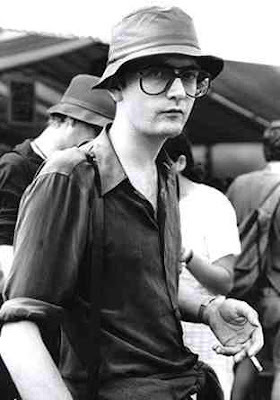 Peel also played Hip-Hop when no-one else on Radio 1 was doing so (Peter Powell reportedly once told him that he shouldn't on the grounds that Hip-Hop was the music of Black hooligans, allegedly). * There are several different versions of this track in existence, including the Parts 1&2 version that Peel played on one of his last ever broadcasts in 2004. I have put the 'Part 1' version here. Right...on with the new music! 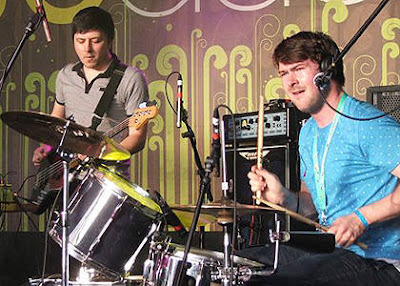 Dirty Summer are Brodie A L Wishart (bass/vocals), Fergus Christie Jack (keys/vocals), and The Banister (drums/cleaning). 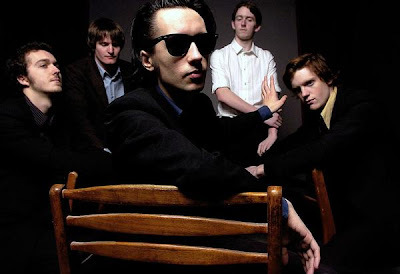 They make fantastically raucous pop music that sounds like they are taking the mick out of everyone and everything. Given that I never never met John Peel, this might sound presumptuous, but I think I can safely say he would have loved Dirty Summer. ...and if you like them, pop along to their MySpace and make friends. Only cold nast people are unfriendly. First of all, thank you to everyone who has been in contact with details about new acts; I'm going to try and go through it carefully and give my considered opinion about what to post; so if you don't see yourselves posted immediately, don't take it personally! 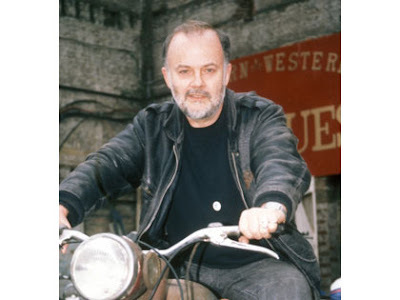 I was considering posting some other stuff today, reflecting on what might make my Festive Fifty at the end of the year, and found my mind drifting to the great man of the Festive Fifty, John Peel. So, with a big nod to Steve (and not Mike, as I mistakenly called him earlier!) over at the brilliant Teenage Kicks, a brilliant Peel-related blog, here are ten tracks that made John Peel's Festive Fifty over the years. Given that he often got frustrated at some things being unadventurous, and there being 'too many white boys with guitars' I have tried not to fall into the same trap. * 1991's Festive Fifty was known as the Phantom Fifty as John felt it was too predictable, topped as it was by Nirvana's 'Smells Like Teen Spirit' and not featuring the dance sounds he'd been plugging that year. It was eventually unveiled, track by track over 1993). Remix albums can be tricky affairs, sometimes opportunistic cash-ins and stop-gaps, as the record company waits for the next album or doesn't feel that the time is quite right for a greatest hits compilation or stage musical. Great to report, then, that this remix album of Love Is All's 2006 album Nine Times That Same Song is actually ten excellent remixes that are different in sound, yet most impressively manage to work together well as an album in it's own right. The Bees take on 'Make Out Fall Out Make Up' into something that is completely different from the original, Maps' version of 'Turn The Radio Off' is simply gorgeous and when you know that Chicken Lips and hot Chip have also remixed tracks, you know it's a stormer that provides an fantastic listening experience and works well as a party album. No shoddy cash-in, but a rare example of an fantastic opportunity used to brilliant effect. Love Is All...Mixed Up is out on January 21 2008 on Parlophone. Love Is All are currently writing a studio album in Gothenburg for 2008 release. 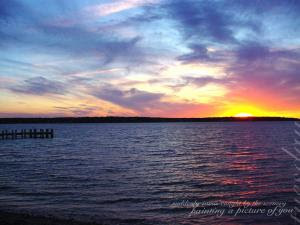 Hope you have a good weekend...and cheers to the lovely Mrs. 17 seconds, as we have now been together for three years! Something new for you (my quest is endless; in the words of the late, great John Peel: 'I Just Want to Hear Something I've not heard before.') This time from Bologna, Italy. Cheesy euro-pop? A fusion of opera and metal? Don't stereotype and put your expectations aside. 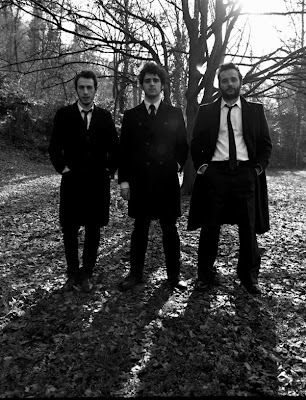 A Classic Education are three men: Jonathan Clancy, Paul Pieretto & Luca Mazzieri who play a myriad of instruments and make some of the most gorgeous music you will hear. This is gorgeous, atmospheric indie music in the vein of the Decemberists, and Arcade Fire, whom they have supported. And if you like iLIKETRAINS, then I reckon they might be up your street too. From the emails I've exchanged with them, I understand that they are not signed at the moment, but that's surely only a matter of time. Then if you like what you hear, pop over to their MySpace and make friends. And as ever, if you like what you hear, go and make friends with them at their MySpace page. First of all, a tip of the hat of respect is due to Song, By Toad for bringing my attention to The Low Miffs. 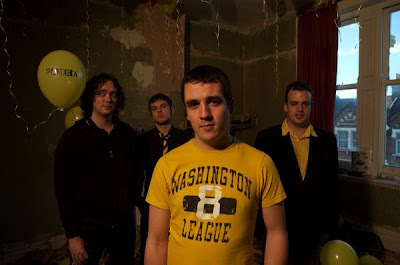 A Glasgow band who are apparently unsigned (then aren't all the best new band these days?) but have done a couple of 7"s, they are working with none other than the legendary Malcolm Ross. They remind me both of the best of early 80s indie post-punk stuff (Fire Engines, Josef K, Orange Juice obviously!) but there's also a great dark element in there, too. Give these two tracks a listen and then pop along to their MySpace and say hi. Oh, and go along to Song, By Toad where there is much more on them. A little while ago, I said that this was one of the releases of 2008 I was really looking forward to. So, how does it shape up? First things first: ignore that godawful title. Sounding like the band are going to be horribly rockist (as the original post-punkers used to say) or alternatively, painfully clever-clever, it is neither of those things. Perhaps if there is an immediate reference point -and this has been flagged up already- is fellow Rough Trade labelmates Arcade Fire, with the dreamy epic flavour to it that often is found on the Canadians' albums. Apparently Arcade Fire are fans and this seems to spill into the record. 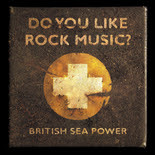 2003's debut The Decline Of British Sea Power had a playful experimental feel at times, which seemed to be missing on the follow-up, 2005's Open Season. Instead, the epic dreamyness is there with some genuine emotional ups, that sound fantastic on record and no doubt even more amazing live. Having played this album twice already, and found it more rewarding on the second listen, this is another excellent album from British Sea Power, containing their gorgeous songs, with still an element of the sheer 'what are they on?' that made them so intriguing in the first place. Yo Majesty. Yo Majesty hail from Tampa, Florida. 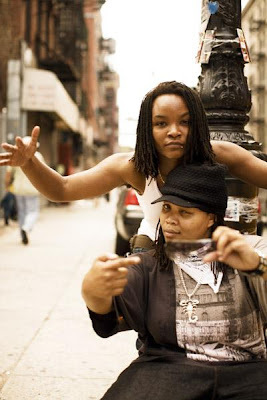 In a world where some people make out that they are anti-establishment, but are pretty anti-anything that threatens the status quo (and Hip-Hop can be like that), Shunda and Jwl are more in your face than any one on the planet right now. They make great party music, and the YO! EP is available at eMusic now. If Club Action doesn't have you punching the air in delight, then too bad. If you like what you hear, go and investigate and support the artists involved! ...hey, if the track below floats your boat, you might like to hear and read some other great stuff over at another blog I co-write along with ...sixteen others (at the last count, anyway) called Fun and Heartbreak. Another new-ish band I have been meaning to post on for a while, and actually heard before Christmas...but anyway. I'm not an authority on Friendly Fires but they sound pretty great to these ears. if you are a fan of where indie attitude meets ear-freidngly electronica with a few Talking Heads influences thrown in, then you should definitely give them a listen. Particularly if you like Hot Chip -though no doubt someone out there can explain to me why they are nothing like Hot Chip. There are a couple of singles/EPs available through either eMusic or iTunes but no album as yet. See what you think...bit of a brief post tonight as the drive home took three hours and I am braindead. Parka hail from Glasgow, are signed to Jeepster (who originally signed both Belle and Sebastian and Snow Patrol), and are now London-based. OK, I grant you that name doesn't sound great, but the songs are fab, and they're playing all over the UK in the next three months (just check their mySpace). They have released two singles so far, 'If you Wanna', back last May, and the 'Disco Dancer' single which came out today. The Sessions hail from London. I have been playing their stuff on the iPod a fair bit over the last few days, and it grows on you more and more with every listen, as all the best stuff should. 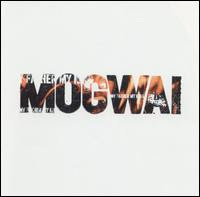 They are currently unsigned, but have two releases available through iTunes and are playing Alan McGee's club, The Queen Is Dead, in February. Sit up and take note! 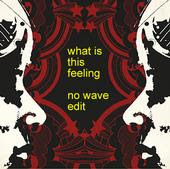 There are two EPs available through iTunes UK, the Troubled Life Of No-one Else and What Is This Feeling? 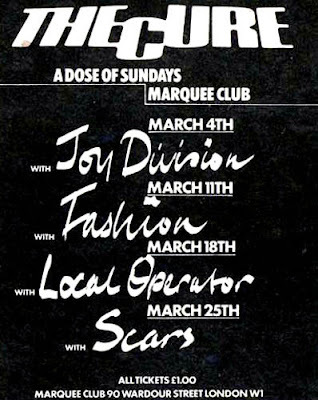 Or getting to see Edinburgh The Scars with The Cure. Still, I have seen the Cure five times over the years, so I cannot complain. Well, no-one can say that 17 Seconds doesn't try and bring you the best in new music (not that anyone has, but anyway). 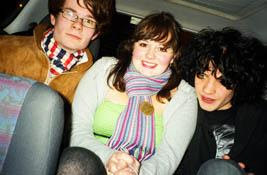 Back in October, I became mySpace friends with a rather wonderful act called Small Crew. they are somewhat enigmatic, their MySpace claims that they come from Armenia, although I suspect this may not be entirely true. As for band members, they say 'We Are The World.' Uh-huh. "Small Crew is Richard Adderley and Dan Edwards (formerly of bands like The Boyfriends, The Lucas Group and Vermont), although neither is necessarily on any given Small Crew Recording. Small Crew is whoever is in the room at the time when Small Crew music is being made. 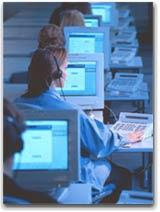 Small Crew can also be at the end of a phone line, in the post or on a computer, radio or television. If you aid, facilitate or enjoy Small Crew activities, you are Small Crew. Activity is currently limited to this planet but this is purely for technical reasons. Small Crew make any kind of music depending on what's in the room or who's on the phone. They like singing and dancing and they like to keep it dirty. Small Crew are not a collective. They are a combo. " Ok, I know I might have posted some of these before, but if you haven't heard any of these before, I really think you ought to! 1) This afternoon I did a 'phone interview with James Allan of Glasvegas fame (see below) and will write that up a.s.a.p. 2) This afternoon I received an email from Colin at And Before The First Kiss, asking if I would like to be involved with another mp3 blog he is assembling called Fun and Heartbreak. Well, obviously, yes! I haven;t yet posted over there, but I will. I should apologise, first of all, for the length of time it has taken me to write about this band. I recived an email and some mp3s before Christmas and the notification that they were playing live, and the intention was good, I just got caught up in other things. Anyway, another great new band from Scotland, who also deviate from the art schol-postpunk mould that may yet eat itself in 2008, Jocasta Sleeps have some excellent tunes that have to be heard. Last night, unable to sleep in bed, I flicked through my iPod and put them on. Again. Great, great stuff. Download these and see what you think, and let me know. If you like them, pop along here to their mySpace and make friends with them. As yet unsigned -but it shouldn't remain that way for long. 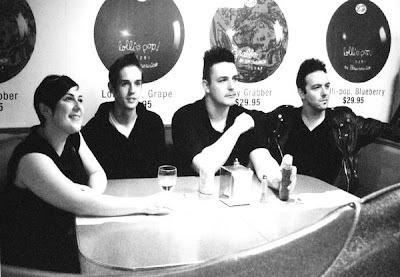 Glasvegas - Scottish indie's Next big Thing for 2008? 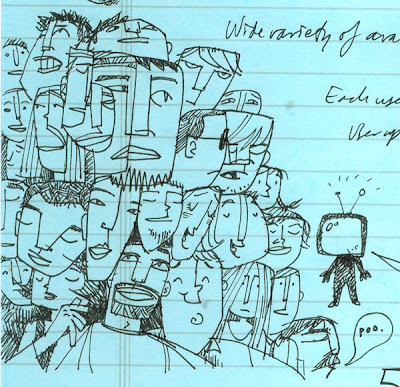 A few years back, 2004 I think, I got a phonecall from my little brother, to tell me how much he loved the latest compilation tape I'd made him. In particular, he said, what he really loved was 'Why Are You Being So Reasonable Now?' by the Wedding Present, particularly because David Gedge sang in his own accent. It's particularly this honesty of singing in your own accent that is one of the things that appeals about Glasvegas. (Seriously, in the 80s, Big Country didn;t feel comfortable singing in their own scottish accent, and the proclaimers were mocked for doing so). Bigged up by Alan McGee for sometime (and if you are foolish enough to let this put you off, it's your loss), Glasvegas' single 'Daddy's Gone' was the runner-up single of the year in the NME writer's poll. I heard it after I'd finally done the 17 Seconds 2007 Festive Fifty and was promptly kicking myself. The description of the band as being like 'doo-wop' with guitars is not far off. the sense of aching sadness that 'Daddy's Gone' delivers is something really special. If this doesn't move you, more fool you. Glasvegas are currently unsigned, and Daddy's Gone sold out long ago on 7", though it can be bought on iTunes. Their official site is here and their MySpace is here. As always, if you like what you hear, let me know, and go and make friends with them on MySpace. ...and I've got another one for you, another one of my MySpace friends. I know next to nothing about Call To Mind, other than they are scottish and currently unsigned, and their four members are Andy, Jamie, Joe and Martin. They don't even list their influences on their MySpace page, but I hear bits of Boards Of Canada, Sigur Ros and Mogwai (minus the 'heavy' bits). How to describe them? Indie? Too vague. Ambient? Part of me wants to say 'shoegazing' but somehow this is something different. Of this sounds like your bag you might have to figure it out for yourself. But this is music born of the severe winters of scotland and the beauty that still lies in it. 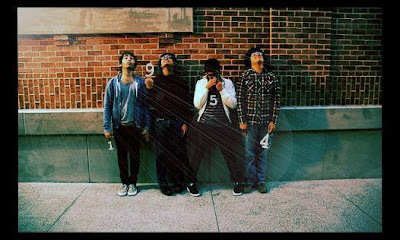 The other four tracks can be downloaded from their MySpace page, and if you like these, I suggest you do so!